There were reports that Tata Sons, which has major stakes in Vistara and Air Asia India, might be interested in Jet Airways. No airline is apparently among the five entities that have submitted the expressions of interest (EoI) after the lenders to Jet Airways offered up to 75 per cent stake in the foundering airline. 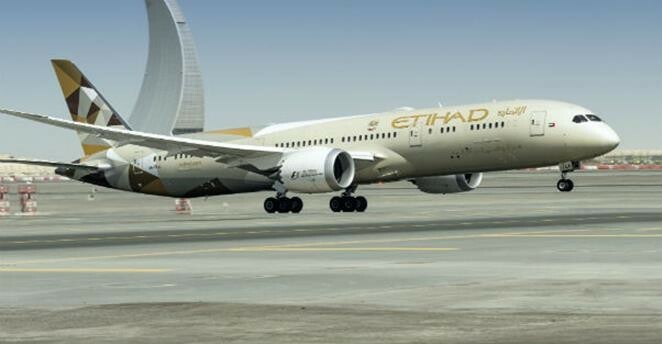 Even United Arab Emirates-based Etihad Airways, the foreign strategic partner of Jet holding 24 per cent stake, has not shown its hand although the lenders have been pushing the airline for some response with time running out for the stricken airline. The lenders, armed with Naresh Goyal's agreement to pledge more shares in the airline whose debt burden is estimated at Rs 8,500 crore, have extended the time for EoI up to Friday. He will pledge up to 41.1 per cent of the 51 per cent stake he holds in the airline. The lenders have however approved Goyal retaining a 9.9 per cent shareholding in the airline unencumbered by the requirement of having to pledge it with lenders. This would mean Goyal will continue to have a presence in the airline, according to a report in the Economic Times. Abu Dhabi-based Etihad, the only airline on the horizon for the lenders' rescue efforts, seems to be sticking to its precondition that its involvement would be contingent on a waiver from market regulator Securities and Exchange Board of India (Sebi) on the requirement of making an open offer for an additional 20 per cent stake once its holding crosses the 25 per cent threshold. The immediate requirement of Rs 1,200 crore that Etihad would have to make and its conversion to equity under the Jet board-approved rescue plan would clearly take the UAE national carrier's holding beyond the threshold. Jet Airways market share has been dwindling since financial, operational, regulatory and administrative crises hit the debt-laden airline. Goyal's apparent initial reluctance to exit the airline's cockpit as if founder chairman was stalling an early debt resolution programme, according to some reports. Even after Etihad CEO Tony Douglas returned empty-handed last month after a series of sessions in Mumbai with Rajnish Kumar, chairman of the State Bank of India (SBI) that heads the lenders' consortium, over the debt resolution plan, Goyal had refused to step down from a management role. Alongside the demand for a Sebi exemption from making an open offer, Etihad was also insisting on Goyal's exit for it to pitch in with more funds. Douglas even threatened to offload all shares of Jet at a massive discount at Rs 150 when the scrip was trading around Rs 220 on the National Stock Exchange (NSE). Goyal finally stepped down on March 25, sending the Jet shares to new highs as traders expected early resolution of the debt tangle. On Thursday Jet share opened at Rs 263 and was trading flat after Goyal's offer to pledge a part of his shares to raise Rs 1,500 crore required for keeping the airline afloat. Cramer Ball, who was Jet CEO from May 2014 to December 2015, is Etihad's point man for managing Etihad's investment in Jet. Ball apparently had a difficult relationship with Goyal before he finally stepped down after turning around the airline's finances, in part because of benign fuel prices. He was also the third CEO to quit in less than three years, underscoring the difficult environment in which Jet's senior management worked under Goyal. 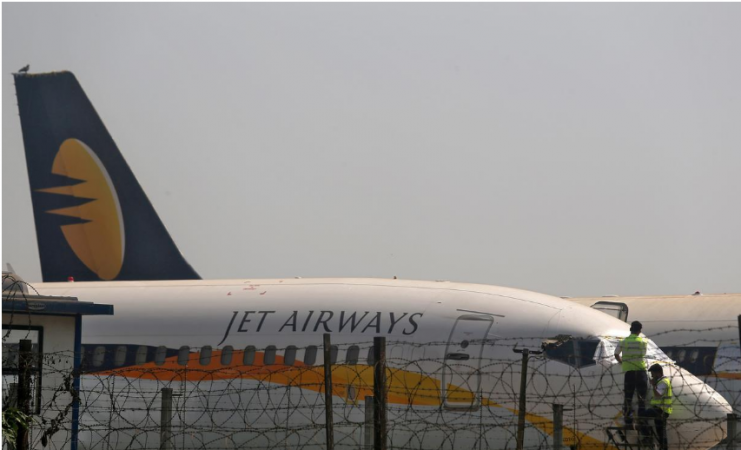 Bad news has been piling up for Jet with the latest being the Indian Oil Corporation (IOC) turning off the fuel tap for the airline for the third time on Wednesday. There are reports that the airline's fleet strength has dropped to 22 from 120 as other airlines like SpiceJet, Go Air and IndiGo have been taking over its routes. Aviation regulator Director General of Civil Aviation has been de-registering Jet's planes and allowing the leasing companies to fly them out of the country for operations elsewhere. Civil aviation the world over have been in the grip of a crisis because the aircraft inventory has dwindled with the grounding of the entire fleet of Boeing 737 MAX planes in operation around the globe following two similar accidents – planes belonging to Ethiopian Airlines and Indonesian Lion Air – in less than five months taking a toll of nearly 350 lives. A cargo agent in Jet's main global hub Amsterdam seized a Boeing 777 plane's bellyhold cargo on Wednesday afternoon, grounding the aircraft, the Economic Times reported. There were reports that Tata Sons, which has major stakes in Vistara and Air Asia India, might be interested in Jet Airways. However, a person close to the group said it has invested heavily in building the two brands and buying another airline wouldn't make business sense. Instead, the conglomerate is encouraging the two airlines to pick up routes Jet Airways has been abandoning for want of aircraft. The lenders have in their control about 32 per cent of the Jet Airways shares pledged to them and Goyal's decision to pledge up to another 41 per cent shares will make available close to 75 per cent stake for any potential investor to bid for.